After two weeks of no meets and a lot of good practices, I was hoping to see a lot of good times. Unfortunately, Logansport only had 3 guys so we were in several events by ourselves. We did have a few good times. Jerimiah Moore had a best 50 Fly split in the Medley Relay and dropped 13 seconds in the 500 free. Jobe Ulshafer dropped 4 seconds in the 500 Free. Matt Willson had a best time in the 100 Backstroke and Rhett Nead had a best 50 Free time in the Medley Relay. The Golden Goggle Award goes to Hunter O’Connor. I have been really pushing him in practice to work on technique and endurance. 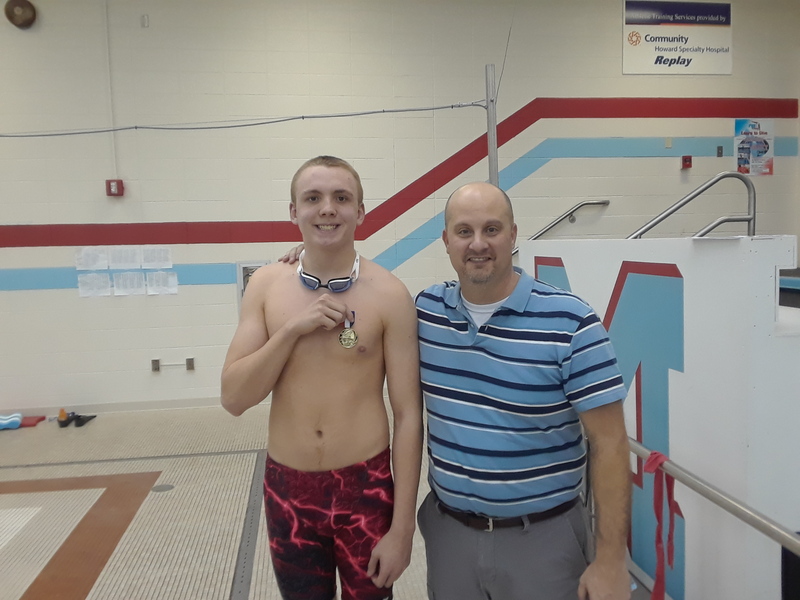 It showed last night as he had a best time in both the 50 and 100 Free.